This has been a big year for triple threat actress, singer, and model Zendaya, in addition to becoming a CoverGirl she just told Variety that she’s joined the cast of the Spider-Man Reboot with Sony and Marvel. Zendaya and Spider-Man. Our dreams are answered. While Zendaya has announced that she’s been cast in the film, her role is somewhat of a mysterious one. Here’s what we know so far: she’s not playing a lead and won’t be his love interest, but her character will play a bigger part in future installments. The film is set to star Tom Holland from Billy Elliot and The Impossible to fill the shoes of Peter Parker, a role left behind by Andrew Garfield and Tobey MaGuire. Rumors are swirling that Holland will make a guest appearance in the upcoming Capitan America: Civil War film to lay the groundwork for the introduction of this new Spidey into Marvel’s Cinematic Universe. 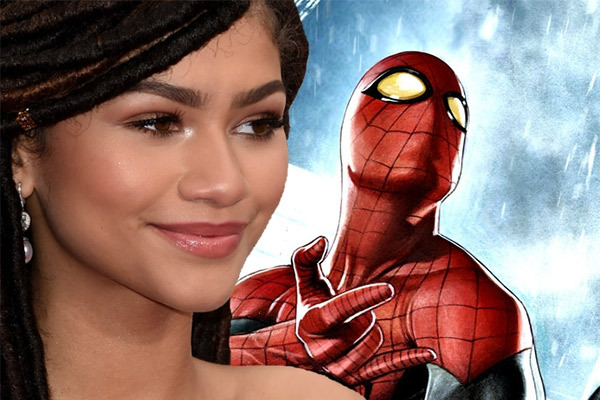 So what does this mean for Zendaya and Spider-Man? Theories are flying around that she will play the character of Michelle; in the comics she was a lawyer whose brother was a police officer and roommate to Spidey. The two share a complicated relationship that results in a one-night stand at his Aunt May’s wedding. Only time will tell, but until then, we’re pretty excited.